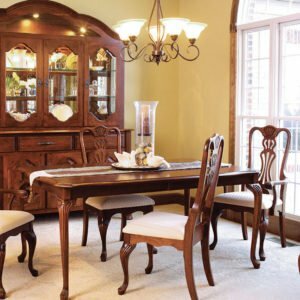 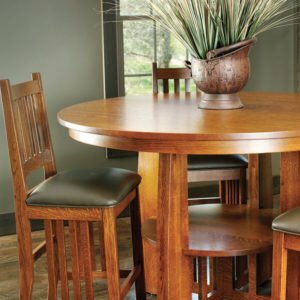 Oak plank top dining table featured in a distressed rich, dark finish. 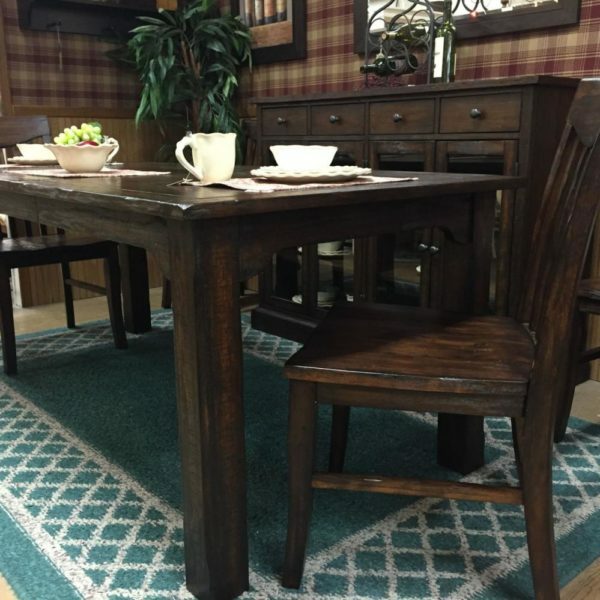 Closed table measures 38″ x 60″, plus features an 18″ leaf. 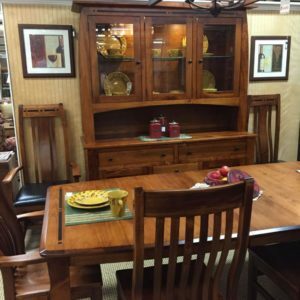 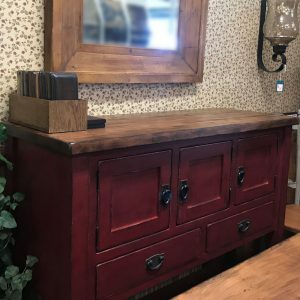 Sideboard with glass doors for display is 54″ wide and finished in the same oak plank distressed style.